Today with frequent school shootings and terrorist attacks, Police Media Relations and Community Relations are more important than ever in both the mainstream media as well as in social media. 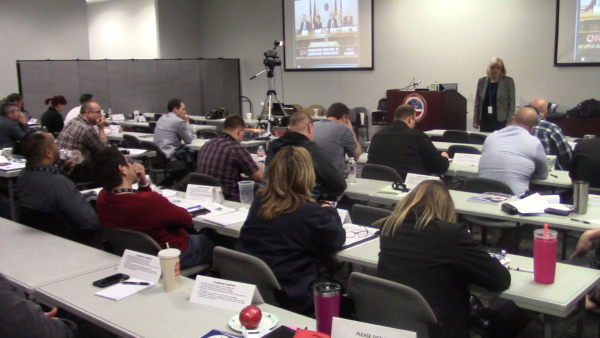 This exclusive 2-day Law Enforcement News Media Relations Training Class was developed by Emmy Award winning reporters who have covered the world’s major news events from the fall of the Soviet Union to the 911 attacks on America, from school shootings to natural disasters. 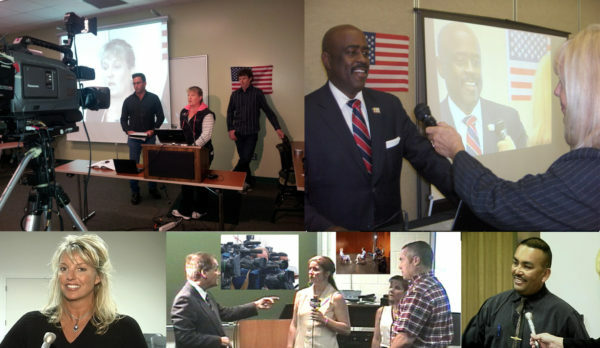 Our Media Training Classes are now conducted in 40 cities a year across America. 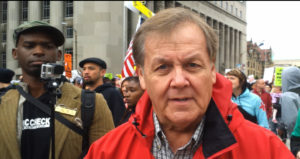 Our instructors routinely go to the scene of many of the nation’s major breaking news events in order to bring you the most up-to-date training in the world, with REAL WORLD scenarios. Our training is based on actual news events from the Ferguson, Missouri riots to the terrorist attack in San Bernardino to the Las Vegas sniper attack. You Are Placed in the Center of the News Spotlight before a LIVE TV News Camera and then peppered with tough reporter questions about a simulated breaking news event, right of today’s headlines. You will discover how to take control of a news conference or interview and reassure the public by showing YOU are in charge. 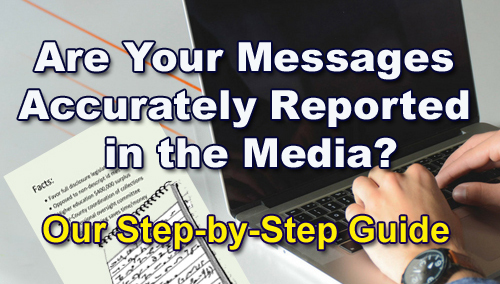 You’ll discover how to use your Media Relation skills to establish Talking Points that will help you stay on point in order to communicate your message more effectively. How a random act of kindness from a New York City Police Officer paid off in Positive News Coverage for his agency. 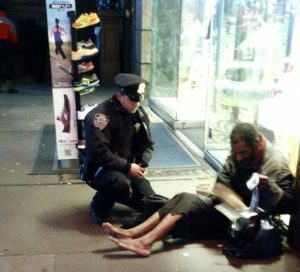 The officer walking his beat at Times Square stopped to help a homeless, shoeless man. The story went viral, appearing on every major television network. The event became a Media Relations bonanza. 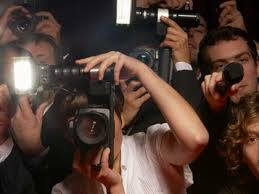 The coverage generated $100 million in EARNED Media for the NYPD and won a promotion for the officer. Discover how such Goodwill is like money in the bank of public opinion. You can experience our exclusive Media Relations Training in person at any of 40 cities across the country or join us from the comfort of your own home or office via the Internet. When you are involved in a crisis incident, its imperative that you get out in front of the story as soon as possible. The longer you wait the less control you will have on how the story is reported. 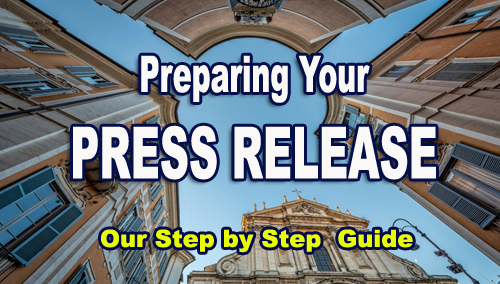 Today, effective News Media Relations is something you must practice not only with the established main stream media but with social media as well. In Ferguson, Missouri in August of 2014, the narrative of a highly publicized shooting incident was established early on by protesters utilizing social media. 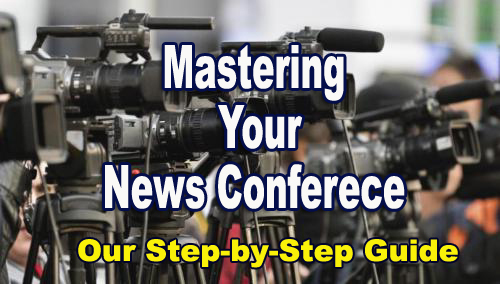 Handling News Conference Interruptions, Ambush Interviews and Investigative Reporters Push Your Narrative Out to Mainstream and Social Media Quickly! If you would like to schedule or attend a class, or if you just have a media issue you’d like to discuss, please give us a call. Alan Richmond on How do you answer those questions you don’t want to answer?